As of this writing we’re almost seven hours into the Rolex 24 Hours of Daytona, the first major event of the 2019 racing season. Here’s what it’s like on the scene. Kurt Bradley is in Florida shooting all the action for Jalopnik, and here’s what his camera has captured from the first segment of this race. 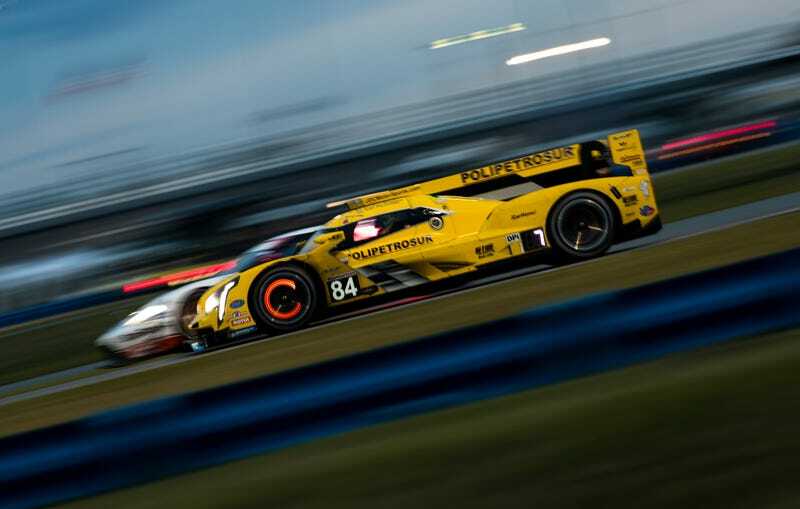 As I write this Kamui Kobayashi is out in front in the Wayne Taylor Racing Cadillac DPi-V.R after he took over from teammate and Formula One veteran Fernando Alonso earlier. Behind him is Juan Pablo Montoya in the Acura ARX-05 DPi, and we just learned both Mazdas are headed for big trouble. This race is far from over and we’re thrilled to see what happens next. In the meantime, enjoy some shots from the day.